"When you need a professional cleaning job done, call the technicians at S&L Cleaning Services, LLC." S&L Cleaning Services, LLC has provided superior commercial cleaning services in Anniston, Alabama and surrounding towns since 2015. 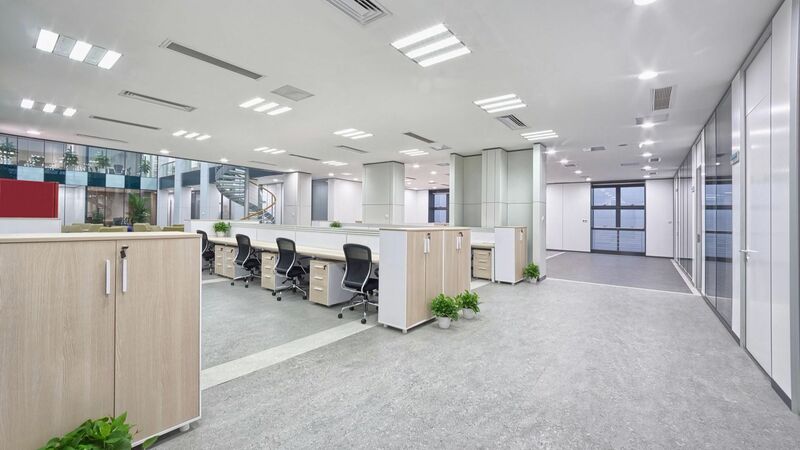 Whether you are searching for reliable Anniston office cleaning, VCT floor stripping and waxing, window cleaning or all of the above, S&L Cleaning Services, LLC is a name Anniston businesses trust for cleaning. S&L Cleaning Services, LLC takes pride in being the commercial cleaning company that truly cares about every Anniston area business. You need a commercial cleaning company that will arrive to scheduled meetings and appointments on time and one that is accessible to you when you need them. You expect to arrive to work each day to find place of business fresh, clean and ready to welcome customers and employees. S&L Cleaning Services, LLC can be that Anniston commercial cleaning business for you! Having been franchised and certified through Jan Pro, S&L Cleaning Services, LLC has a certain reputation and standard it must uphold. This is why every customer is assured to have superior cleaning services! Not only does Larry Johnson, owner of S&L Cleaning Services, LLC, take pride in the cleaning services he provides to his customers, but also plays a huge role in the Anniston community and takes pride in our country. Larry jumps at every opportunity to volunteer at local schools, specifically at Golden Springs Elementary, and volunteers at the Hospice in Oxford, AL. Larry's also proudly served his country and is a Veteran of the Armed Forces. "Hats off to ya Larry!" Anniston Office Cleaning: From floor to ceiling, your office will be dusted, vacuumed and welcoming to customers, employees and guests. Extra cleanings for holidays and special events are not a problem. Anniston Janitorial Services: Cleaning is done to your specifications and your schedule. Regular cleaning programs include trash removal, paper product restocking, carpet and hard floor maintenance. Your building will be maintained in prime condition with S&L Cleaning Services, LLC providing your Anniston janitorial services. Anniston Floor Cleaning: Whether an Anniston floor stripping and waxing program or regular floor cleanings, S&L Cleaning Services, LLC is well equipped to handle all of your floor cleaning needs. We can clean any type of flooring. Anniston Window Cleaning: Insides, outsides, screens and sills will sparkle when S&L Cleaning Services, LLC handles your window cleaning in Anniston Alabama. Anniston Carpet Cleaning: Spots and stains and odors disappear. S&L Cleaning Services, LLC will leave your Anniston commercial carpeting fresh, clean and looking new again. Add years to your flooring investment with a regular Anniston commercial carpet cleaning maintenance program.